As Saturday 9th June 2018 is quickly approaching, tickets are selling fast for Big Head Todd and The Monsters. These guys always bring the magic through their bluesy rock sound! 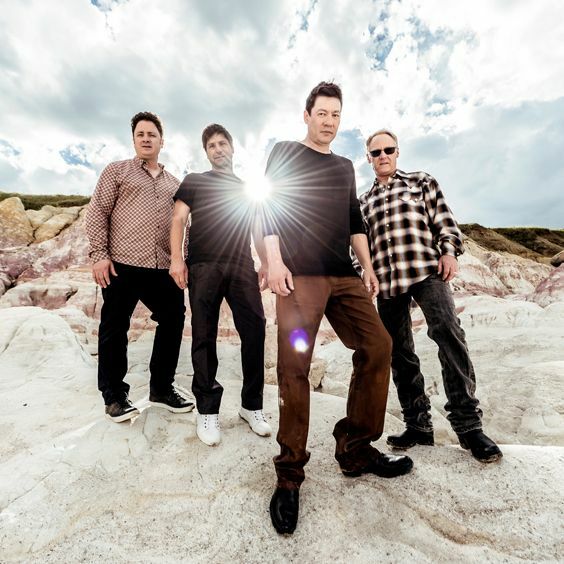 Big Head Todd and The Monsters is coming live to Red Rocks Amphitheater – donʼt wait too long to tell your friends and grab tickets ready for the big night! Click the Buy Tickets button to book your tickets today! Everybody's live performance favorites is none other than Big Head Todd and The Monsters – as they first started on the local music scene in 1986…. Todd Park Mohr on guitar and vocals, Brian Nevin on drums and vocals and Rob Squires on bass and vocals. Together the trio met through high school and quickly became friends and then created the band. Next came the touring around the Denver area and soon they had built a following all over Colorado. Taking to the road to travel Mountain States and West Coast of the United States in their van called 'The Colonel', drove over 400,000 miles. It was clear to see from this moment on that music would become their livelihood and all that the BHT members wanted to do! It's been a dream come true for this group as they have managed to do just that, releasing material during the early 1990's put them on the map and by 1993 they were able to sign with Giant Records, here they produced Sister Sweetly, three singles from the record made the big time including of course;"Bittersweet", "Broken Hearted Savior", and "Circle". Since those early days, Big Head Todd and The Monsters have worked their way up and are now an absolute must see! Grab your tickets for their 2018 summer tour where they will be stopping off at Red Rocks Amphitheatre!